Congrats!!! Post a link to the collection if you can. Would love to check it out. Glad to see you got the last one you needed. It looks great! Can't wait to see more of your collection. Very impressive. I can't imagine there are many of those out there. Astounding. Well done and congrats! Would love to see the rest. Good job ! I know you have been searching for that first quite sine time now. So what's next... Clemente, Aaron, Mays ? Glad it went to you Chris...I feel that accomplishment with you now! Congrats on the Mantle matchbook cover. 425/425; very cool! Any plans for what’s next, if anything? It seems it s been 4 yrs since I known you and buddied together on the Mantles collection runs. Well done Chris. I know we both missed out on that 53 Yamakatsu that was on B&L yrs back. As for that Mascot Dog food, it been a great card to have too!. As always, I'll tag you if I run across something you may not have. Where does the 425 derive from? Is it a PSA set? Thanks for the kind words. It's been a really fun challenge putting it together and chatting/trading with so many great people along the way. For those that asked, I don't have my collection stored online anywhere that is publicly available but have included a group shot from several years back along with pictures of some of my favorites below. 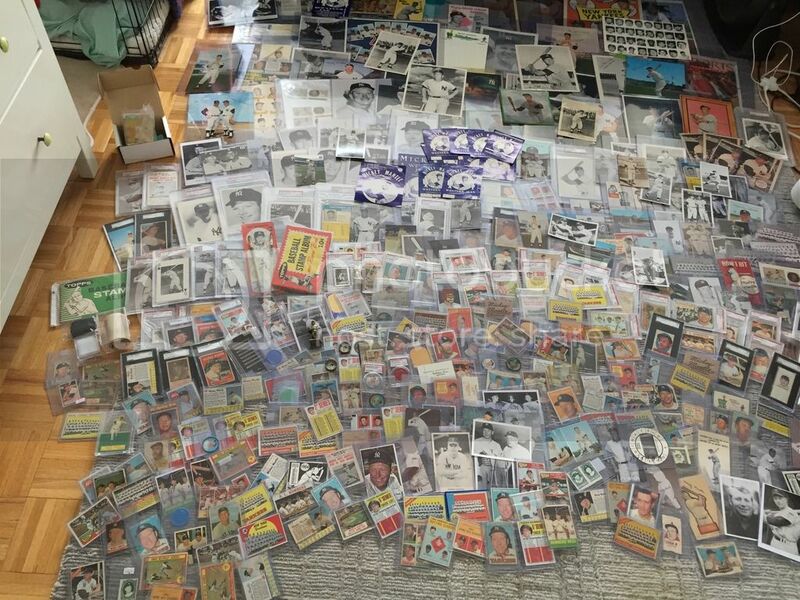 The 425 includes basically every card of him that was issued on more than a test basis (Topps Plaks, discs, Dice Game, Punchouts; Yoo Hoo) with the exception of a few variations (the Dad's Cookies Exhibits, one of the Pittsburgh Exhibits, the two postcard back Exhibits, one of the 52 Topps, the 59 Venezuelan cream back), and a few of the rarer ones I either could not find or could not afford (Briggs Meats; 54 Stahl Meyer; OPC Portrait Tattoo; Yamakatsu; American Oil Portrait; Rawlings; Mascot Dog Food), and a few of the non-cards (Tip Top Bread; Star Cal Decals; Meadowgold Dairy; Rawlings Glove Box). I think there are less than 30 potential additional items I could add if funds were unlimited and the 1/1 were on the market. But, I had to set an attainable goal and a finite stopping point. As for next steps, I think I am done with cards for a while. I have a couple of game used pieces I'd like to pick up when the pop up, but most of my funds/free time will likely be spent working on improving my home or hanging out with my son. When he gets older, I'd love to get him involved in the hobby though (he has 1 1967 Topps Yankees card, which is probably more than he needs at ten months old). Thanks again and look forward to following everyone's progress on their own sets/collections! Haha, I'd sell it for 15k to anyone that's interested . It's cut from something and is one of the few pieces I just can't identify. But, it's definitely period and a cool looking piece. Awesome collection, nice photo. 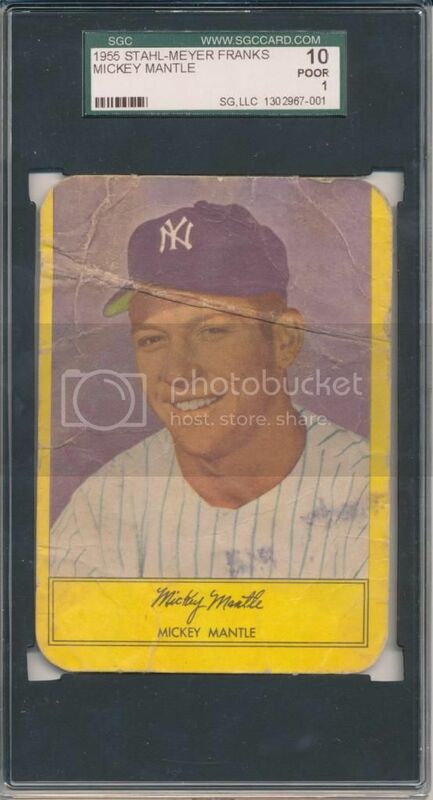 Just curious, now that this portion of Mantle collection is complete would you think about pickings up some new cards (shiny inserts)? 53 and 55 stahl meyer count but 54 doesnt? 1 pittsburgh exhibit counts but not the other? meadowgold milk? not rare at all? star cal decal...certainly not rare? rawling glove box card not rare? Last edited by sflayank; 02-11-2018 at 10:54 AM. 1. Test issues/Likely test issues: Even the most dedicated collector in the 50s and 60s likely wouldn't have gotten a Dice Game, any of the Topps Plaks or Punchouts, a Mascot Dog Food, or a Yoo Hoo card (I don't think this was officially distributed), so, given that I have a limit budget, I'm okay not getting these. 2. Non-cards: There are a ton of non-card items out there. There are those everyone would agree don't constitute cards (Star Cal; Tip Top Breas; Misssion Soda; assorted premium photos) and those that are debatable (Rawlings Glovr Box; Meadowgold). The collection would be never ending if I went after all of these, and the goals was to someday complete it. So, I picked up as many as I could afford/find along the way. 3. Variations/near duplicates: I wanted to make sure I had a fair representation of everything in my collection, but I didn't need to spend a fortune to get near duplicates: the minor 52 Topps variation (I had both but parted with one to pay for a down payment on my house); the 59 Venezuela variation; the 54 Stahl Meyer, which is indistinguishable from the front from the 55 Stahl Meyer; the difference back variations for the Exhibits; and the Pittsburgh Exhibit number variations. At the time I was going after the Pittsburgh Exhibits, the version I had at the time was a 1/1, but I traded it to a friend for a different so he could complete his set. 4. Briggs, American Oil Portrait, etc. : I have no justification apart from the price tag and the availability. I wish I could go after everything ever made but finances are what they are. I started collecting with that goal of getting everything imaginable but life changes. This past year, I had my first kid, switched jobs (approximately a six figure paycut) so that I could be home and be a better father, and bought a house. Now, money just isn't there. So, I decided what I really wanted, wrote out a list, and got them. I've got everything I need now to feel like my collection is complete, so it is to me. Sure, there are what others would consider holes, but there are many ways to build a collection and to approach it. Good luck in finding the remaining items you need. I am always on the lookout for the Armour coins you still need and hope to one day help you check those off your list. WOW!!!! Congratulations on a wonderful collection.. I for one am greatly impressed by your discipline you made a list and stuck too it. Hope you enjoy it for many years. Larry-- I thought weird was a common trait amongst us all here . Congratulations, my friend. That matchbook is a beauty. During the summer of '62, my Mom & Dad took the whole family out west for a long vacation. 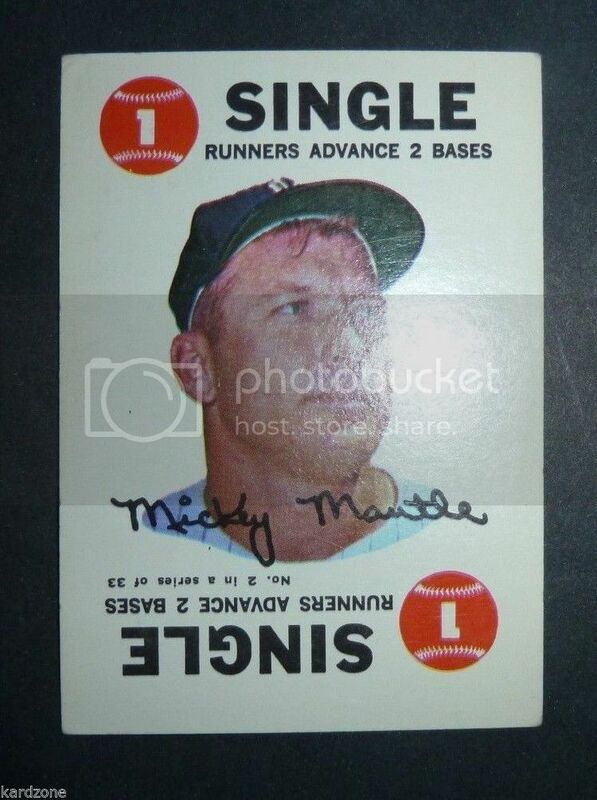 I remember we stopped and stayed at the Mickey Mantle Holiday Inn! I was just 8, but excited to be at this hotel. So long ago, but I remember it fondly. Very happy for you, Chris. 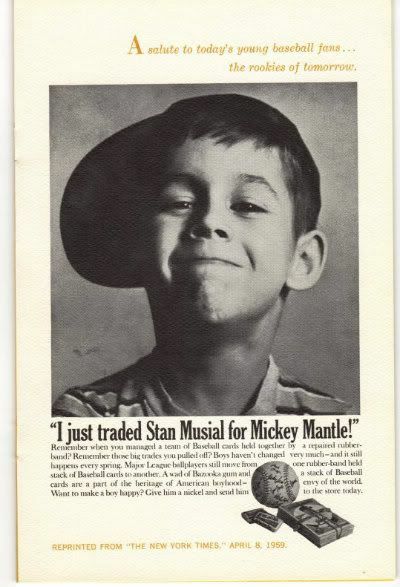 Also, I am pleased for you in that whenever anyone hears you collect Mickey Mantle cards and items issued during his playing career, and if they have any sincere interest in them, will ask you, "So tell me, Chris, how many different items of Mickey Mantle do you own?" I would love to see the changing of their expressions when you deadpan, "425". Whoa-hoooooooooo Nellie! That's a lot of Mantles! A pay cut of !00K??????????????????????????????????????? Staggering. To be a better Dad, and husband I'm sure-------PRICELESS! God bless you. Thanks for sharing your joy with us, bro. Last edited by brian1961; 02-12-2018 at 11:33 AM. Congratulations Chris!! 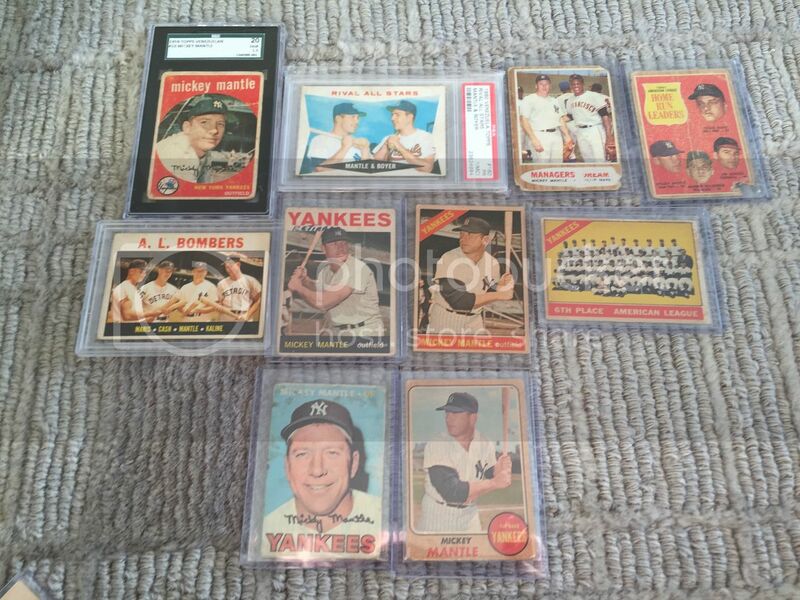 Quite an impressive gathering of Mantle items. As any collector knows, you can collect a formulaic list prepared by someone else or you can go your own road. Kudos for collecting what makes YOU happy. 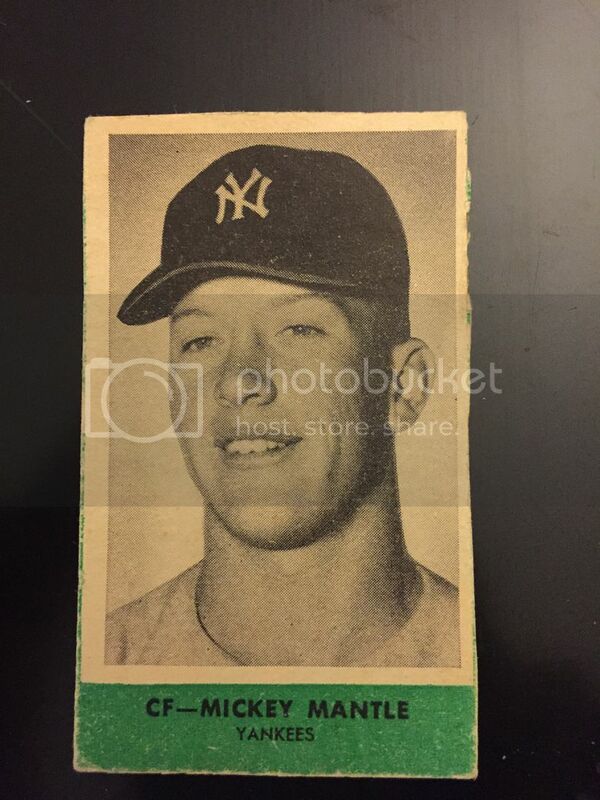 As a Mantle collector myself, I refuse to go after the '65 Bancroft Tiddlers abomination of a "Mantle" card. Hence, my collection will never be "complete." Keeping it weird in Austin. PS Thanks for helping me along with my collection. Thank you all. It's been so great getting to know so many good people through the hobby. Brian, I have somewhere around 50+ duplicates as well. So, one day, when I get a firm count on them, I'm likely going to pick up around 25 of his cheaper cards to make it an even 500 (I'm assuming I can still get those ugly checklists for $3.00 a pop). Maybe a couple of checklists. Mike, I'm happy to help. I'll let you know when I see a nice Bancroft Tiddler for you! I'll shoot you a email later about the Life Magazine as it just arrived. As for modern, the companies have made it really difficult to be a collector these days. 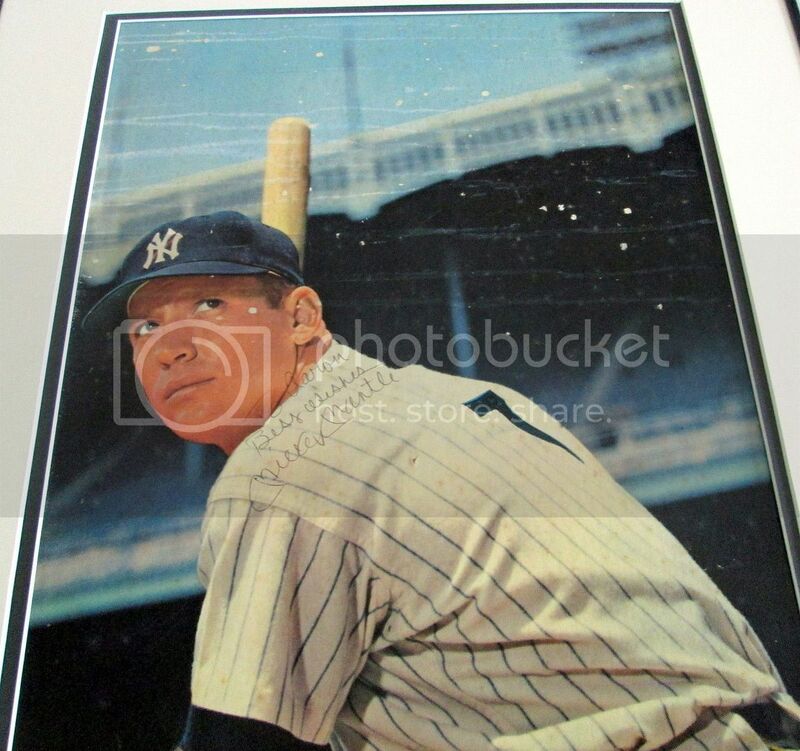 Mantle had a ton produced during his career, but the modern stuff far outweighs it. 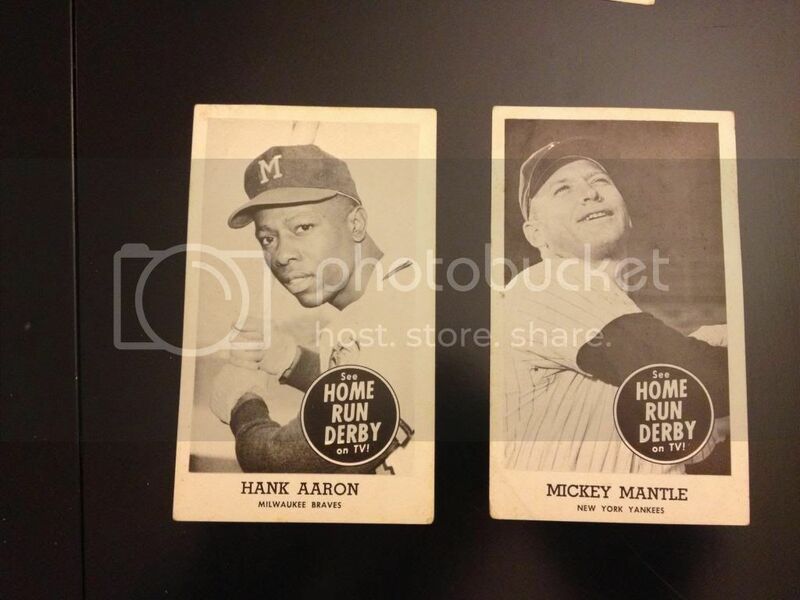 There are some 52 Topps style cards I may get at some point though just because of the aesthetics. But, I don't plan to put anything really serious into it. Could it be from something like this? 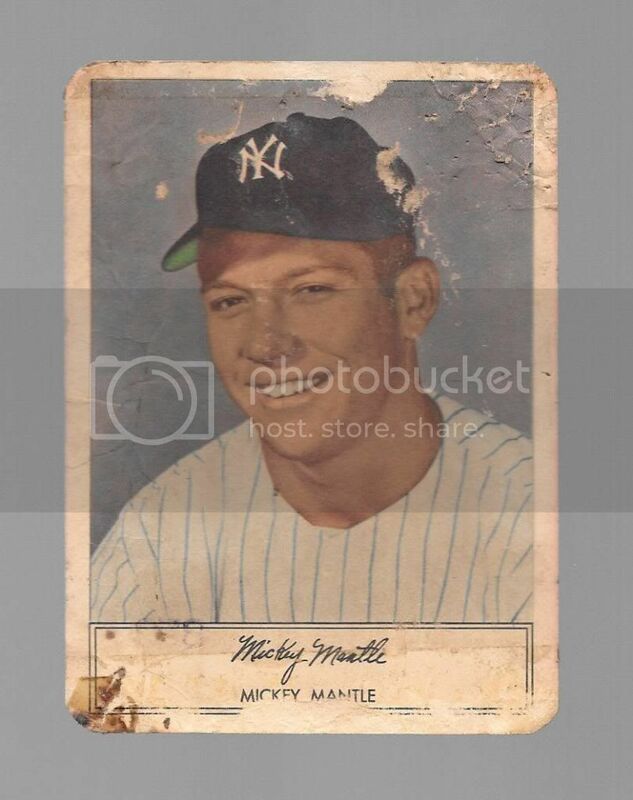 As a Mantle collector myself, I refuse to go after the '65 Bancroft Tiddlers abomination of a "Mantle" card. Hence, my collection will never be "complete." Keeping it weird in Austin. Great accomplishment!!! (Been AWOL from postwar vint for a bit so just saw this thread).